Business Brokers servicing Adelaide and greater South Australia. Lloyds Business Brokers have been selling Adelaide businesses successfully for more than 30 years. We are recognised leaders in Corporate Sales, Mergers, Acquisitions and General Business Brokerage. Since 1984 we have compiled an impressive record of sales and national and International exposure and associations.. For more information, please read about our profile, our highly experienced team or see our current businesses for sale. We specialise in international commercial business broker services to mid market enterprises, servicing niche markets in the fields of manufacturing, import/export, wholesale distribution, mining, service industries, property and retail, and those which have appeal to international markets, especially in U.S.A and China. 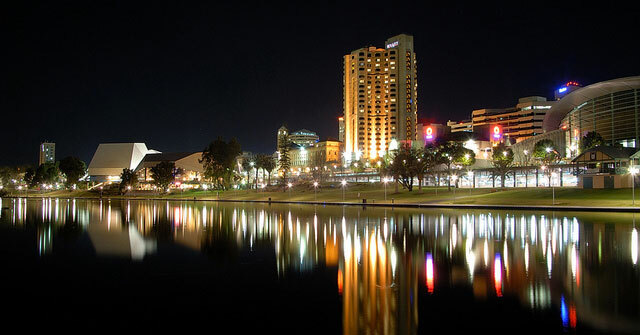 The experience and expertise of our Adelaide business brokers will ensure you get the best price for your business. Our international industry relationships and long-standing reputation will expose your business to a wide range of potential buyers, within a short timeframe. The retail industry is the second largest employer in South Australia (2009–10). It employees approximately 91,900 jobs and 12% of the state's workforce. Defence technology, manufacturing, high tech research, trade goods export and corresponding service industries play a role within the South Australian economy. 40% of Australia's high-tech electronics industry are found with Adelaide. Companies in this industry design and produce electronic systems that are sold worldwide for applications in medical, communications, defence, food and wine processing and industrial sectors. The revenue of Adelaide's electronics industry has increased at about 15% each year since 1990, and in 2011 exceeded A$4 billion. The electronics industry in Adelaide employs over 12,000 people or 14% of all manufacturing employment. The South Australian economy continues to enjoy a trade surplus and has higher per capita growth than Australia as a whole. Lloyds' Adelaide team of Business Brokers will assist your purchase or sale a business within this thriving state.